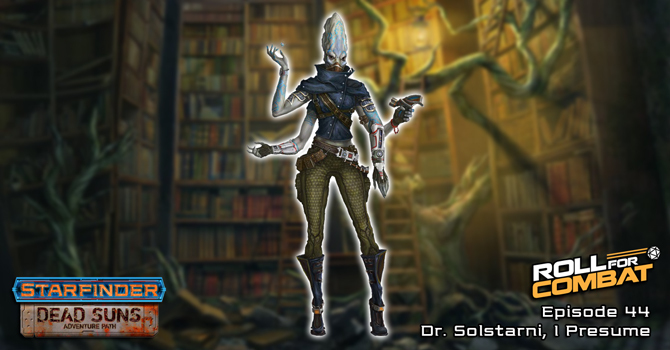 After countless months of trouncing through a horrible jungle, fighting terrible beasts, and facing death a dozen times, have the team finally found Dr. Solstarni? And if so… now what? And how many bad guys will Hirogi heal this week? Listen and find out! Also this week, Stephen discusses a super simple way to make your PCs shine and feel awesome! And don’t forget to become a supporter of the podcast our Patreon page: https://www.patreon.com/rollforcombat where you can help us while unlocking fun exclusive rewards for yourself! Did you like this episode? Check out our episode recaps: Talking Combat.